Welcome to Charleston Square. A distinctive and highly desirable waterfront location situated in the heart of Naples Florida. Charleston Square features options for living a carefree lifestyle in one of its 24 luxurious condominium residences conveniently located just across the street from one of the most beautiful beaches in Southwest Florida and directly overlooking Hurricane Harbour. 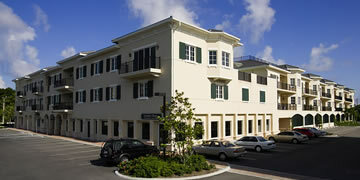 This unique mixed-use development also features well designed Class A office space providing a professional and polished environment for business with convenient on-site services and amenities beneficial to the residents and businesses who have made Charleston Square their premier destination to live, work and relax in paradise.